DGL supplies & installs secondary glazing to all parts of Melton Mowbray, Leicestershire, the city of Leicester and the key market towns of Melton Mowbray, Market Harborough, Loughborough, Oakham in bordering Rutland and Grantham & Stamford in Lincolnshire. 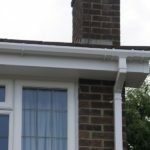 The product has many applications and in particular, it allows people that own homes that are Grade I and Grade II Listed to install windows that will offer great improvements in both the thermal energy efficiency of the building and reduce noise pollution also, without falling foul of stringent planning laws. Typically featuring a combination of a strong robust timber sub-frame into which a slim and discreet aluminium window is then inserted into, DGL’s glazing system has many applications to suit all property and window types. 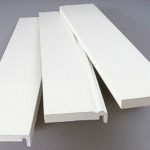 The aluminium frame can be supplied in many finishes ranging from the most common white to many RAL colours. The system can be either direct-fixed into the frame or into the reveal to allow for installation into all locations and window types. 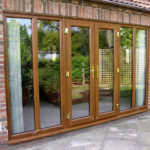 All products are designed to allow the window to function correctly in terms of opening and closing for ventilation and fire escape alongside the requirement of having total access to clean both the secondary window and the original house window. The modern secondary glazed system also allows for the homeowner to select the same types of glass that are used in other double glazed window systems. 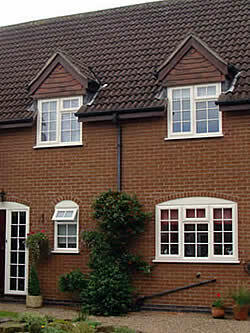 On this basis, to achieve the best levels of thermal insulation and energy efficiency, thermal LOW E glass using either Pilkington K glass of Saint Gobain Planitherm to reduce the U Value to somewhere in the region of 2, which up until recently was the required indicator for a replacement double glazed window. 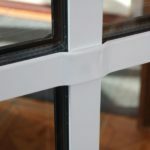 To compliment the use of LOW E thermal glass, it is also possible to glaze the secondary glazed window with an acoustic glass, which can range from the simple addition of a laminated glass through to the use of dedicated acoustic glasses such as Pilkington’s Optiphon and Saint Gobain’s Stadip Silence. DGL is one of a select group of window installation companies that supplies and installs secondary glazed windows to the whole of Melton Mowbray, Leicestershire, as well as Market Harborough, Loughborough and Oakham. 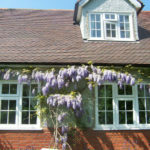 Secondary offers a cost effective and aesthetically discreet method of effectively double glazing a home and has particular use for houses that are Grade I and II Listed within conservation areas. Dedicated secondary glazed system uses a timber sub-frame and an aluminium window frame that is available in all colours. Widest range of products including lift outs, horizontal sliders, vertical sliders, tilt & turn and many more. Installed with care and precision such that your new glazing both allows your home to be warmer and quieter without impacting on the visual aesthetics of the original windows and glazing sightlines. 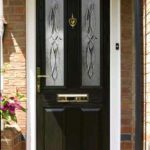 You might also be interested in our upvc, georgian or leaded light windows.